Male and female airplane pilots. Globally, female airline pilots only account for 5.4% of all pilots employed, but recent statistics show that Indian airlines are doing the best when it comes to employing female pilots. According to the International Society of Women Airline Pilots, out of 8,797 Indian airline pilots, 1,092 are women, putting their percentage at about 12.4%. This is significantly higher when you compare it to United Airlines, the US-based airline company with the highest number of female pilots employed. Their percentage is 7.41% or 940 women pilots out of 12,693. 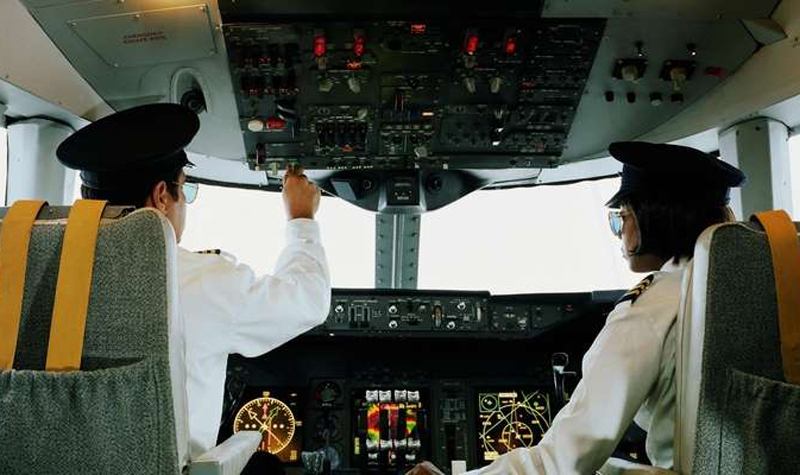 Zoom Air sits at number one among Indian airlines for having the highest percentage of female pilots. Out of 30 pilots, nine are women, putting them at about 30%. About 13.8% (351 out of 2,689) of IndiGo’s pilots are women, followed by Spice Jet at 13.2%, and Air India at 12.7%. Indian airlines are also doing wonderfully when it comes to female captains. Globally, only 1.55% of all captains are women, but in India, the percentage is 10.4%. Some airlines offer better benefits like day care service to both male and female employees or a mandatory maternity leave policy, as IndiGo does.